The International Ch’an Buddhism Institute - China Office - is situated in Central Beijing. For practical reasons there is no internet presence as of yet, and no fixed postal address. 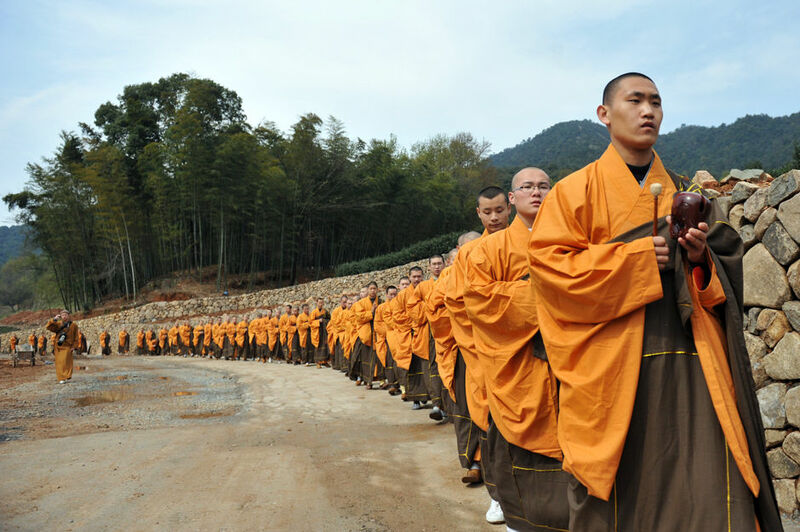 The China Office is a cooperative of many (Lay and Monastic) individuals, who have expressed an interest in the propagation and maintenance of Ch’an Buddhism both within and outside the geographical boundaries of China. 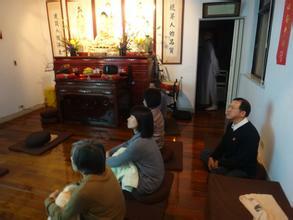 The ICBI China Office holds that the True Nature – or Mind Ground is forever present and that there is no real or inherent difference between Lay practice and Monastic practice. Although it is obvious that surface differences exist everywhere in the world, these differences represent the ‘Guest’ or deluded, moving aspect of the mind. It is incumbent upon every Ch’an practitioner to ‘see through’ this veil of illusion and cognise the True Nature (host) which does not come or go, and which can not be created or destroyed. Lay practitioners must fulfil their functions as Lay-people; whilst Monastics must strive diligently in their Dharma practice so as to make the most of the congenial circumstances that have manifested for their benefit. In this world everything has its allotted place, time, and direction. The world does not stand still for a single second. However, despite its surface complexity, the (still and empty) Mind Ground is never absent. The ICBI China Office (Beijing) fully endorses and supports its ICBI UK Office, and acknowledges the good work of the World Buddhism Association; Maitreya Buddhist University, Shangri La Buddhist University, and the International Wisdom Society. We support the translation project of rendering Chinese Buddhist (and Daoist) texts into English through the Richard Hunn Association for Ch’an Study, and we appoint Dr Adrian Chan-Wyles (Shi Da Dao) as our Special Representative in the West, as his Lay and Monastic lineages (as well as his experience and skill) are suitable for this task. Furthermore, we send our greetings and support to all beings in the world regardless of religion, belief, ethnicity, gender, and location. We believe that the old feudal system is out of date and its archaic hierarchy driven organisation no longer relevant to modern society. Although it is acknowledged that there will be Masters and that there will be Students – it is also understood that this arrangement is highly fluid, and that each Master aims to evolve the Student so that a ‘new’ Master is produced. The attainment of Mastery is not the end of development but merely denotes a certain level of successful attainment. The Master – Student relationship is one of an efficient sharing of knowledge. The Master teaches what he knows, and gains valuable experience from the manner in which the student learns – this is why knowledge flows in both directions. The ICBI China Office (Beijing) considers its relationship with the world to be one based entirely upon equality and cooperation. Therefore, no single individual runs the ICBI China Office (Beijing) and its direction is decided through wise debate and knowledgeable consultation. It is considered that when circumstances are correct in the West, the ICBI UK Office should adopt a‘Steering Committee’ mode of organisation that enables free thought (where appropriate), and retains directional discipline. It is also proposed that suitable Regional Offices of the ICBI be established throughout the World. Running an organisation is like disciplining the mind – the emergence of chaos helps no one. The Guild of Hui Neng is designed to re-capture and re-invigorate Ch’an and Zen in the West. The ICBI China Office (Beijing) is the architect of this initiative which is designed to create a self-sufficient mode of practice for individuals everywhere in the world without exception. This is an important step following the instructions of Master Xu Yun (1840-1959) who had such an idea in the 1940’s, but which only saw limited application due to the circumstances of the time. We are very happy that the Guild of Hui Neng has now been established in the West. All candidates for the post of ICBI Regional Office should adhere to the teaching of Ch’an Master Jing Hui (and other suitable Ch’an Masters) as a foundational requirement for application. The ICBI Project adheres in principle to the authentic Ch’an teaching of Master Xu Yun (1840-1959) and does not recognise or endorse any other group, organisation, style, or establishment that deviates from this path. We confirm that the ICBI China Office (Beijing) can be contacted through the ICBI Office UK (or directly through the email address below), and that the ICBI Office UK has our permission and full support in acting on our behalf, and in our best interests.